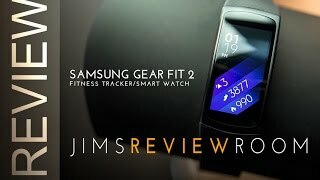 Samsung has recently released two wearables recently and one of them is the Samsung Gear Fit 2 Pro. 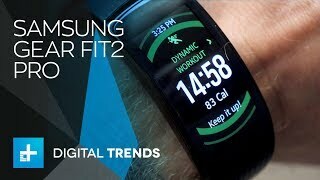 It’s an upgraded and more expensive version of the Samsung Gear Fit 2 and comes with some new features. To find out whether those new features are worth checking out or not and the Samsung Gear Fit 2 Pro Qatar price, keep reading. 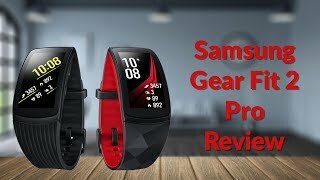 There are more built-in apps available in the Samsung Gear Fit 2 Pro and some great fitness focused app support that includes Speedo Go, Endomondo, MapMyRun and UA Record. 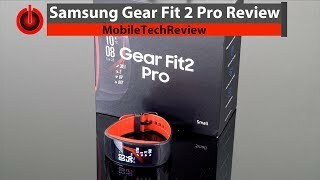 Another notable feature of the Samsung Gear Fit 2 Pro is that it will work with iOS devices as well and comes with iOS compatibility. The syncing process can be tough for iOS users but it’s there. The Galaxy App store is also there to where users can look for apps and download them on their fitness tracker. 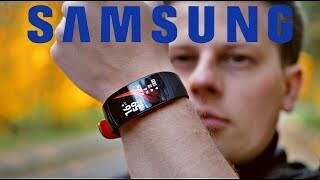 It will be running Samsung’s Tizen operating system which is definitely something to keep in mind if you are planning to get an Android OS running watch. There is the Asus ZenWatch 3 and Huawei Watch if you are looking for something with a circular shape. However, these are more expensive compared to the Samsung Gear Fit 2 Pro Qatar price. 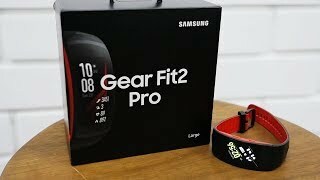 The Samsung Gear Fit 2 Pro is currently available for about QAR 700 at the moment. There are two different sizes to choose from with the same screen size and price. Price has decreased 25% from QAR 599 on 2018-05-23 to QAR 449 today.